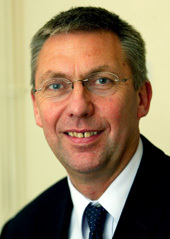 David Moorcroft was chief executive of UK Athletics for 10 years (’97-2007), which is the governing body for athletics in the UK, affiliated to the IAAF which is the world governing body. David took the organisation from the brink of bankruptcy (then the British Athletic Federation) to become the most commercially successful athletics governing body in the world. David started his career as a middle distance runner alongside such luminaries as Steve Cram, Seb Coe and Steve Ovett. He competed in 3 Olympics and highlights of his career include a Commonwealth Gold in the 1500m, the European Record in 3000m and the World and British Record in the 5000m.